A scent evoking the expensive softness of cashmere….I can’t think of anything more appealing. So as soon as I heard about Cashmere Eau de Toilette released by an Italian knitwear designer Cristiano Fissore, I had to try it. It wasn’t what I expected. For me, a cashmere-like perfume had to be warm, ambery and softly-vanillic, with delicate spicy undertone, creamy sandalwood note and quite a lot of tonka bean. I would have never thought that such a scent could be fruity and fresh. My first reaction to Fissore’s scent was – this is all wrong! The list of notes (bergamot, jasmine, rose, lily of the valley, amber, cedar, myrrh, vanilla, white musk) does not include apricot, yet that was the first note I could smell, and it stayed throughout the scent’s development. Not the juicy, realistic apricot picked right from a tree, nor a jam-like, honey-oozing confection, more of a muted, abstract rendition, but apricot nevertheless. Then there was the coldness of lily of the valley, the citrusy freshness of bergamot, the dry cedar and the right-out-of-a-shower feel of the delicately musky drydown. All wrong, all wrong, muttered I, falling asleep (bedtime is when I often test new scents, you see). And yet next night I reached for my sample again, and the night after that, and the one after…After a week of wanting to wear to bed nothing but Cashmere …I’ll re-phrase that…after not wanting to wear to bed any scent other than Cashmere, I came to realize that although it didn’t do it my way, the scent did evoke the fabric. I imagined dark golden-brown, luxurious shawl that absorbed its wearer’s woody-oriental perfume. Fissore, however, created the olfactory equivalent of a just-bought or freshly-laundered (in an apricotty soap) pastel pink sleep hoodie or cardigan meant to be worn over a silk nightgown. Its very freshness is cuddly, its blend velvety-soft, indeed cashmere-like. This is an understated and elegant comfort scent, no less. I am addicted to it. Santa baby, if you are reading, this is the bottle I want to find under the tree this year. Cristiano Fissore Cashmere is sold at First in Fragrance, €100.00 for 100ml. PS. The Fissore collection of fragrances also includes Cashmere for men. If you are familiar with it, please share your impressions! Damn! Can't review somthing that costs twenty dollars? I loved this post, because it showed to me how important it is to really open up one's mind when it comes to scents. "this isn't right" I have thought many times, too, just to end up later with the conclusion: Hmmm...maybe it was right nevertheless. I guess this is true for all aspects of life, starting with hair colours and ending with husbands watching soccer. Enjoy your weekend and thank you for sharing your insights on your blog! To quote Chuck Berry.."C'est la vie, it goes to show you never can tell" ! This does sound fascinating.. Thanks again, babe, for your evil influence ! Just send me your email via mine, and it's a done deal ! As soon as I saw "Cashmere" I knew I was doomed. I briefly held out hope when you said "fruity and fresh", but no. 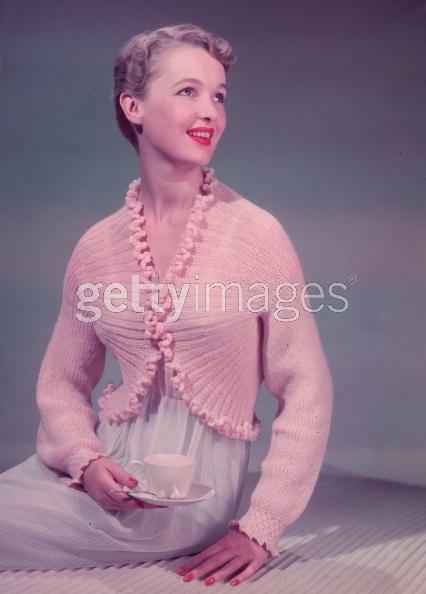 And I love the image of pink cashmere cardigan! Sounds very nice. I do have a sample of the men's somewhere, but I haven't tried it yet--and at the moment, I have no idea where it is; I will hunt it down and tell you. Oh man! Sounds so wonderful. Just reading the review made me feel comforted and warm and - sleepy. I want it! I want to go home and cuddle under a cashmere sweater and read a wonderful book, and sleep. Heehee. I love tmp00's comment, "Can't review something that costs twenty dollars? ", yeah, really! Such wonderful things hardly ever come cheap, though. Sigh! My senility and word-finding difficulty has got the better of me ! Due to your incredible review, you almost have me convinced I need this too. Now. Yesterday. However, as I pull away from the influence of your description, I remember that it had lotv - not a note I hate by any means, but if it's very noticeable it often puts a scent in the fatal "nice" category for me. But I'm definitely going to have to try this. The drydown is soft and velvety and yet slightly fresh. They somehow achieved cuddliness without making the scent feel "warm", you know? As for the men's vesrion, I'd love to hear what it's like! This is not a LOTV scent by any means. When you start analysing it, you figure out, ah, that cold thing there, it's lotv...but it really isn't a dominant and agressive note at all. I quite honestly don't know what note is, this is one of those cases when the scent is so well blended that nothing really jumps out. It's freezing here today, which means it's freezing where you are too... just the perfect day to read about a cashmere scent I'd never heard of. Thanks! Oh, dear... oh, no. I'm not listening, because LotV is fatal on me, too, but can you smell that in there at all? yes, of course you can, um, right? Please say yes. I don't need another 100-euro lemming. I smelled FdeB on a friend a couple days ago. It smelled GLORIOUS. It is completely unfair that it just smells like cedar shavings on me. Today I am wearing CB Winter 1972, which seems appropriate. Hmmm...would your EFT like it?